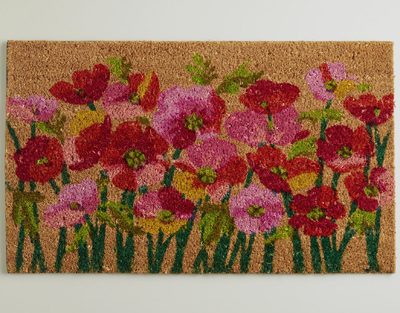 This Pink Poppies Doormat is crafted of coconut husk fibers with an exclusive floral design. Perfectly priced, this durable doormat is a natural choice for outdoor areas with potted plants and flowers. $16.99-$24.99. Buy here.